Clarence Clemons – It’s a sad feeling in the world of Rock and Roll for the legendary saxophonist Clarence Clemons has passed away on Saturday, June 18th, 2011, at the age of 69. Clarence suffered a stroke on Sunday, June 12th. Forever loved for his saxophone talents with The E Street Band and Bruce Springsteen and The E Street Band, Clarence released several successful solo albums as well. Clarence Clemons also played saxophone for Gary U.S. Bonds and Ringo Starr And His All-Star Band. Clarence was also an accomplished vocalist and percussionist. Metal Odyssey extends condolences to the family, friends, bandmates and fans of Clarence Clemons. 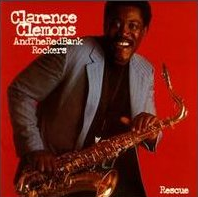 * Top album cover photo: Clarence Clemons And The Red Bank Robbers – Rescue (1983 – Tristar). Rest In Peace, Clarence Clemons. 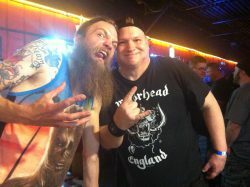 KOPEK – To Tour With HINDER, SAVING ABEL and MY DARKEST DAYS Starting January 21, 2011! 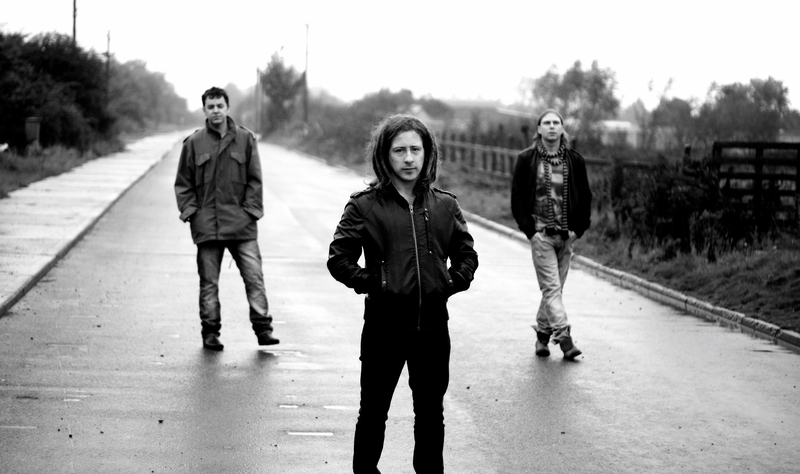 KOPEK – See Ireland’s hottest, Hard Rockin’ and critically acclaimed band from Dublin! KOPEK is coming back to America and will be touring with HINDER, MY DARKEST DAYS and SAVING ABEL on the dates/venues listed below! This highly anticipated tour begins on January 21st in Jackson Mississippi! Welcome back to the U.S.A. KOPEK… now ROCK the daylights out of your fans! * More dates will be announced shortly! The digital release of White Collar Lies was released back on June 29, 2010. * The U.S. debut release for the physical CD of White Collar Lies is March 1st, 2011! White Collar Lies is being released on Religion Music via SIN/Sony Independent Network. 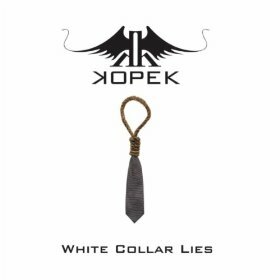 This debut album from KOPEK has received it’s Hard Rockin’, double-fist to the air approval from Metal Odyssey! White Collar Lies was chosen as the #5 Album Of The Year for 2010 by Metal Odyssey! You can read the complete album review for White Collar Lies, as it was featured on Metal Odyssey back on June 28, 2010. Just click the large header below! KOPEK VOCALIST/GUITARIST DANIEL JORDAN – A METAL ODYSSEY INTERVIEW! The Cars have always been summed up and best described as a New Wave Band. 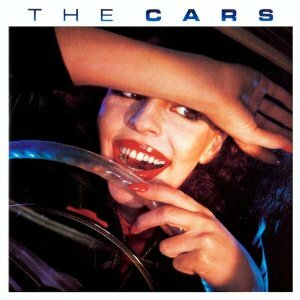 Alright, I’ll let that jive with me, only on their first album, The Cars had some serious Rock in their Wave. Missing Persons were a New Wave Band too, so was Men Without Hats and neither of those two bands come even remotely close in sounding like The Cars. So, were The Cars really a New Wave Band after all? A Flock Of Seagulls… now that’s what I consider a New Wave Band from the 80’s to sound like. Due to the timing of The Cars being released, I gather it is probably “convenient” to lump this band into the New Wave crowd too. The debut and self titled album from The Cars was perhaps, just a few hundred slivers heavier, than your standard New Wave Band of the late ’70’s and early ’80’s. Sure, Missing Persons had a few “heavier” songs for their New Wave sound and style, with very decent drumming from Terry Bozzio, his playing and songwriting really was standout with that band. (Plus, Terry Bozzio was and still is an excellent drummer and all around musician too… in my Metal opinion). 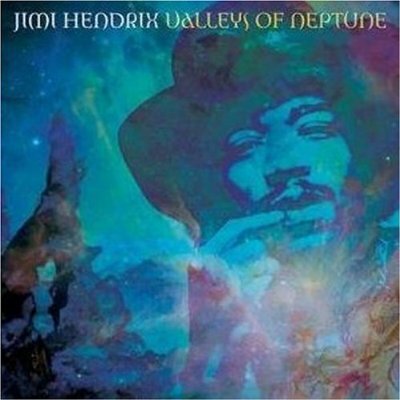 I can recall hearing the “first” single off of this album, it was Just What I Needed. Can I recall the actual year I first heard this song? Ugh. Maybe it was 1979. No, I think it was 1980. Who really gives a flying elephant crap about when I first heard Just What I Needed. The simple fact is that I loved this song from the opening note. Seriously, this song’s significance lies in it’s originality for no other song really sounded like it, back in 1978. I’m trying to “think back” and remember if there was another band out there that sounded like The Cars did, at the time of their 1978 debut album. This was 1978, not 1988, when a decade later you could swoop up a hundred New Wave Bands or so and compare them all against each other. Growing up in the late 70’s and early 80’s, I just accepted The Cars and their sound without giving any thought as to what music genre they belonged to. (Now that I’m a cranky old man, I scrutinize music genres like there’s no tomorrow). As each new song from their debut album trickled onto FM radio, I became more of a fan of them and this album. Out of the nine songs heard on The Cars, seven of them made it to FM airplay. Seven! That is nothing to sneeze at either… how many Rock or Hard Rock bands can any of us name in 2010, that can boast seven songs from one album, being accepted into FM airplay and becoming hits? A “debut” album no less! It’s not as if these songs on The Cars were “Poppy” either, they were mainstream certainly, still a far cry from sounding “bubble gum”. 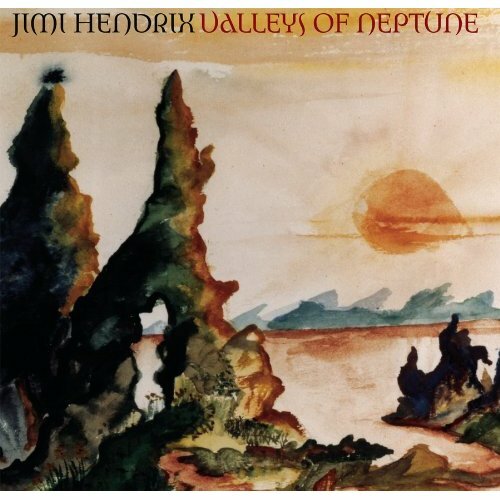 These seven songs were played so often on the Connecticut FM radio stations, (WHCN, WCCC and WPLR), that I am guilty of never having bought this album, many years after it’s release. Elliot Easton played guitar on The Cars with an obvious hard edge, his solo on Just What I Needed is an example of what I mean. It’s guitarists like Elliot that really exemplify playing for the song unselfishly and skillfully, versus the household name guitarists out there, who have accentuated their fame through piles of average solo albums throughout the decades. Ric Ocasek’s vocals were meant for The Cars. I know that sounds rather cliche, only it’s so true. Ric Ocasek gave The Cars a booming personality with his vocals. The “modern” vibe that The Cars pulsated with through their songs seemed to stick to Ric’s voice like glue. The late/great Benjamin Orr not only played bass for The Cars, he was the lead vocalist on All Mixed Up as well. Benjamin Orr’s vocals were perfect for this song, giving it that added emotion and personal element befitting of the lyrics. (His vocals on The Cars 1984 hit Drive, from their Heartbeat City album is another memorably gigantic performance from him as well). The Cars presented an edgy futuristic listen into Rock’s eventual “wide-open” Pop feel of the 80’s, courtesy of Greg Hawkes on keyboards and an open mindedness of this band to create songs that were fabulously accessible. Regardless of the Rock/Pop direction The Cars did take into the 80’s, this debut album is by far, their best full-throttle, Rock teetering on Hard Rock effort… with a New Wave approach, let’s not forget. 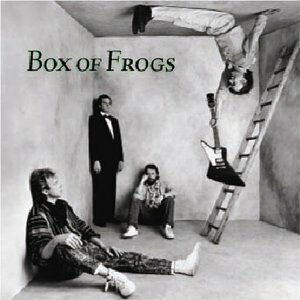 Moving In Stereo can be the cornerstone New Wave song for The Cars. There was and still is something almost fantastically mystical about my never wanting to turn this song off, when I hear it on the radio. Could it be that The Cars really are moving me, through stereo? I feel semi-scared now. Good Times Roll has all the ingredients of bursting out of it’s seams with a loud guitar solo and a psyched out tempo that doesn’t relent. It does not happen that way though. It’s the keyboards that administer the melancholy antidote of calm, making this song still feel like the good times are rolling, nonetheless… in a Logan’s Run sort of cosmic way. The Cars as I look back upon them now, were a mighty decent Rock, I mean, New Wave Band. After all these years, however, it is more beneficial for me personally, to call The Cars debut album a Classic Rock gem. If I was to recommend that “one” album from The Cars to a civilization outside of our Milky Way, it would no doubt be their debut album. For those on this planet, that are just being introduced to The Cars, I would recommend their debut album as well. These excellent musicians that decided to call themselves The Cars, as I look back now, are a symbolic example of their era, showing just how dynamic and memorable a band could become, by solidifying a unique sound from a Rock meets New Wave fusion. * THE CARS was released in June of 1978, on Elektra Records. Rest In Peace, Benjamin Orr. 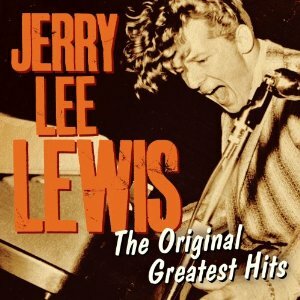 Jerry Lee Lewis – Happy Birthday From Metal Odyssey! JERRY LEE LEWIS – Metal Odyssey wants to extend a LOUD and ROCKIN’… Happy Birthday to Jerry Lee Lewis! On September 29, 1935, this living Rock ‘N’ Roll Legend was born. At age 75, Jerry Lee Lewis is still Rockin’ the house down wherever he plays! It is real Rock ‘N’ Roll Legends like Jerry Lee Lewis who wrote the book on Rockin’ stage presence. Be it Rock ‘N’ Roll, Country or the genre he helped to shape into form, Rockabilly, Jerry Lee Lewis is without question… a timeless singer, songwriter and performer. A pioneer of Rock ‘N’ Roll is he. When I was just a young lad, I can remember watching the live concert footage of Jerry Lee Lewis on numerous Rock ‘N’ Roll documentaries. My Dad would tell me: “son, Jerry Lee Lewis use to cause quite the ruckus wherever he played back in the ’50’s!” My Dad actually did get to see Jerry Lee Lewis perform live at a theater in Hartford, Connecticut… back in those Rockin’ late ’50’s. He told me time and again, as I grew up, that Jerry Lee Lewis “live” was incredible stuff. From the stories told to me from my Dad, other unreal legends of Rock ‘N’ Roll played at the local Hartford area theaters as well… Fats Domino, Chuck Berry, Little Richard, The Everly Brothers and so on. There are those moments, where I wish I could go back in time, just like Michael J. Fox did in those fun Back To The Future movies. Just to see the likes of Jerry Lee Lewis performing live, in the decade of those fabulous ’50’s, would be a Rockin’ time traveling experience for certain. Aw, heck, I would want to see all the legends of Rock ‘N’ Roll playing live back then… making for a very long stay, on a trip back through time. I guess those good ‘ol news reels and live concert footage from the ’50’s, that make up so many Rock ‘N’ Roll documentaries, will have to do for now. * Jerry Lee Lewis was inducted into The Rock And Roll Hall Of Fame in 1986. 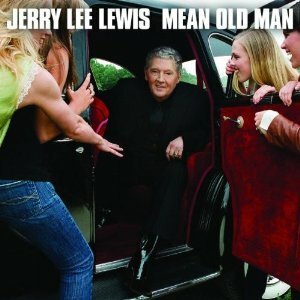 * Jerry Lee Lewis has a brand new studio album out, it’s titled: Mean Old Man and was released on September 7, 2010, on Verve Forecast/Shangri La. 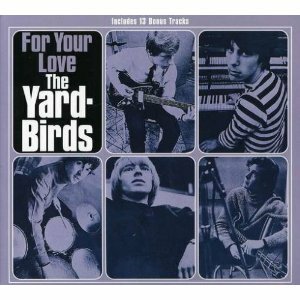 There are some very cool and legendary guest musicians on this album with Jerry Lee Lewis too. Here are just “some” of the great names: Ringo Starr, Kid Rock, Slash, Tim McGraw, Ronnie Wood, John Fogerty, Willie Nelson, Mick Jagger, Keith Richards, Sheryl Crow and… Eric Clapton! This is an abbreviated list too! I feel it’s pretty fine when some of the biggest names in Rock and Country Music can rally around Jerry Lee Lewis like that for his new album. A Metal kudos to all of ’em! * There are 10 songs on the standard issued CD of Mean Old Man, with 18 songs on the deluxe edition. * My personal favorite Jerry Lee Lewis song is Great Balls Of Fire. Sure, it may seem like an obvious choice, only it is my favorite from him. 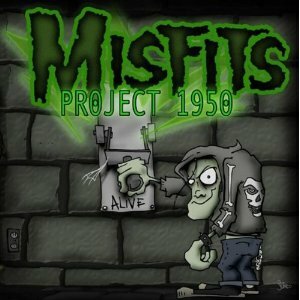 This song was covered by an all-time favorite band of mine… the MISFITS. Great Balls Of Fire can be heard on their 2003 studio album – Project 1950. 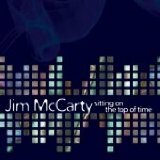 This is an album of ten cover songs… all legendary hits from the fabulous ’50’s. The Misfits Jerry Only sings Great Balls Of Fire the only way that he can… and it’s fiendishly great. I highly recommend Project 1950 to any fan of Rock ‘N’ Roll… any. I think the album cover for Project 1950 is very cool. LONG LIVE JERRY LEE LEWIS! AW, HECK… AS THE LATE AND ULTRA GREAT RONNIE JAMES DIO ONCE SANG… LONG LIVE ROCK ‘N’ ROLL! !